The America’s Cup yacht race has a storied history including a connection to the American Civil War. The race traces its origins to 1851 when the newly built American yacht America bested Britain’s finest yachts in the Royal Yacht Squadron’s annual 100 Guinea Cup. Bringing the trophy back to the New York Yacht Club, America became the namesake for the America’s Cup – a race that is older than even the modern-era Olympics. Today the race is held in various port cities around the world. Following the 100 Guinea Cup, the America was sold between various parties and eventually found itself in the hands of the Confederate Navy. Instead of using the ship as a blockade runner or merchant raider, the Confederates scuttled the ship as a block ship to prevent the Union Navy’s capture of Jacksonville, Florida. Despite their efforts, the Union captured Jacksonville and raised and repaired the yacht. Intending to utilize the yacht’s immense speed, the Union armed the ship as a blockader and assigned her to patrol the approaches to Charleston harbor. 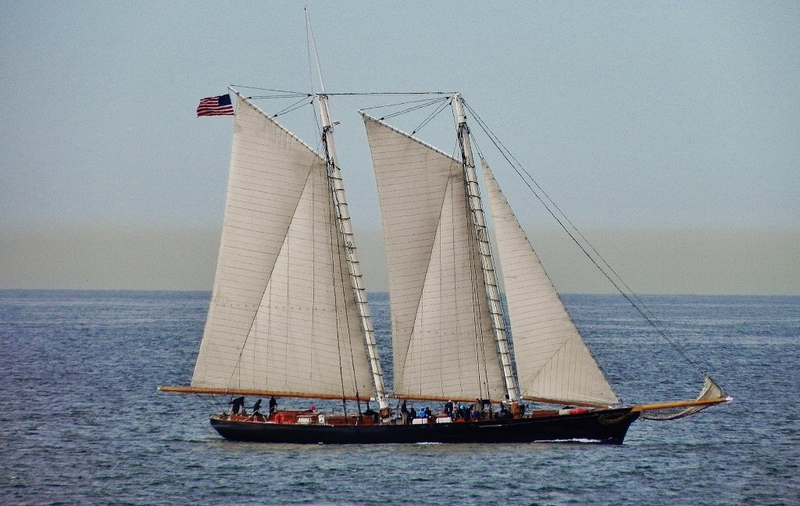 The yacht was successful on October 12, 1862 when it captured the blockade runner David Crockett. In March 1863, America caught the CSS Georgiana attempting to run the blockade and helped direct other vessels into a chase that ended with the grounding and destruction of the Georgiana. Historians continue to dispute whether the Georgiana was intended to be fitted out as a merchant raider or was merely another blockade runner. Georgiana’s remains were re-discovered in 1965 and limited excavations have been carried out on the site. America completed her wartime service, slid into obscurity and was eventually scrapped in 1945. Today a replica of the yacht offers guests sailing trips throughout the San Diego bay area and is berthed at the San Diego Maritime Museum.